I recently posted about Running & Eating and I mentioned that my changing eating habits have had a positive impact on my running performance. 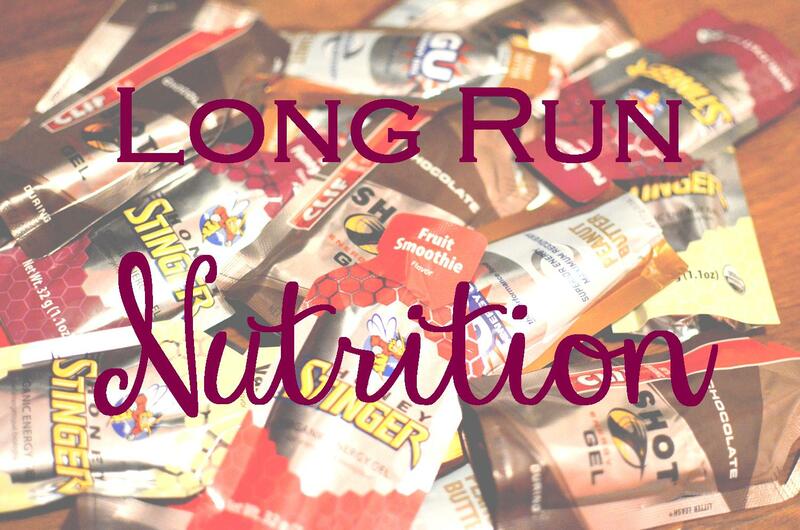 What you eat on a regular basis can definitely have an effect on your workouts but what you eat during a workout (specifically a long run) is crucial. I really like your blog! It’s adorable! And very helpful. I was a vegetarian for four years and then last winter I got caught up in the whole paleo diet fad and started eating meat…worst mistake of my life. So now I am back to being a vegetarian again. I am debating on going vegan, I’ve dabbled in it before but never fully committed to it. So I really appreciate the vegetarian stuff. I posted a link to your creamy sweet potato peanut soup on White Oval Stickers facebook page as well!